The last us helicopter left the roof of the us embassy in Saigon; With its departure, both the Vietnam war and the Vietnam war ended. What have we learned? In PBS documentaries, there’s a lot of it. The work of producer and co-director Ken Burns comes with modest certainty. The simplicity of the title suggests that every subject he touches on — first on his own, now with co-director and creative partner Lynn Novick — will be dealt with explicitly. Jackie Robinson, Mark Twain, lewis and clark, the civil war, baseball, jazz, national parks, congress, the west: these and other films promise viewers a thorough and compelling dive into a library of images and data from beginning to end. 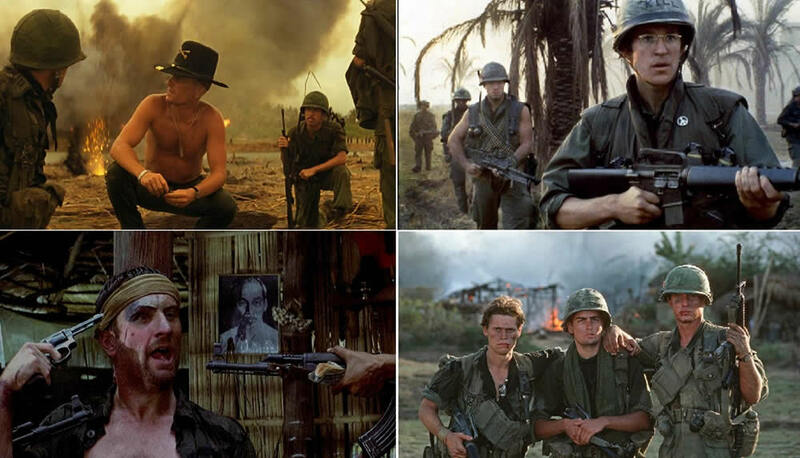 In their usual way of hidden, film producer, started the war in Vietnam and French colonial power in the 1850 s “twilight” in the late 1950 s, the United States gradually immersed entangled in the conflict, through the rest of the long, sad narrative order – some notable exceptions, including the my lai massacre stomach-turning, it is placed in the timeline when the public learned it for the first time, rather than when it happened. At the start of his career, burns was criticized as a visually impaired film producer, when he was actually just meticulous but approachable, more concerned with serving the story than dazzling the audience. His collaboration with novick makes this clearer. Their final works — including “war,” “baseball” and “prohibition” — emphasize the elegance with which true artists use basic documentation-making techniques, such as crosschatching contemporary eyewitnesses and tense photographs or newsreels of the past, as well as a combination of narrative and still photography. Each of “the Vietnam war” prides itself on Geoffrey c. Ward’s writing, Peter Coyote’s understated voice-over, Trent Reznor and Atticus Ross’s soundtrack, and the right combination of slow magnification and mystical power. No living filmmaker but Martin Scorsese has been better at this sort of thing. The depth of this series of studies is striking, as is the way burns and novick alternate between the big picture narratives of military and political decisions, illustrating their impact on individuals and families with intimate stories. Sometimes, one of the moment will become another moment, such as when President Lyndon Johnson (Lyndon Johnson) see Molly, the Columbia broadcasting company (CBS) journalist schafer (Morley Safer) tells us soldiers burned with Zippo lighters south Vietnam hut story, he make a phone call to the Columbia broadcasting company (CBS) President Frank Stanton (Frank Stanton), asked, “what do you want to do with me?” The way we interview veterans, nurses, journalists and activists during the Vietnam war gives us a chronology of their changing mindset in the 1960s. 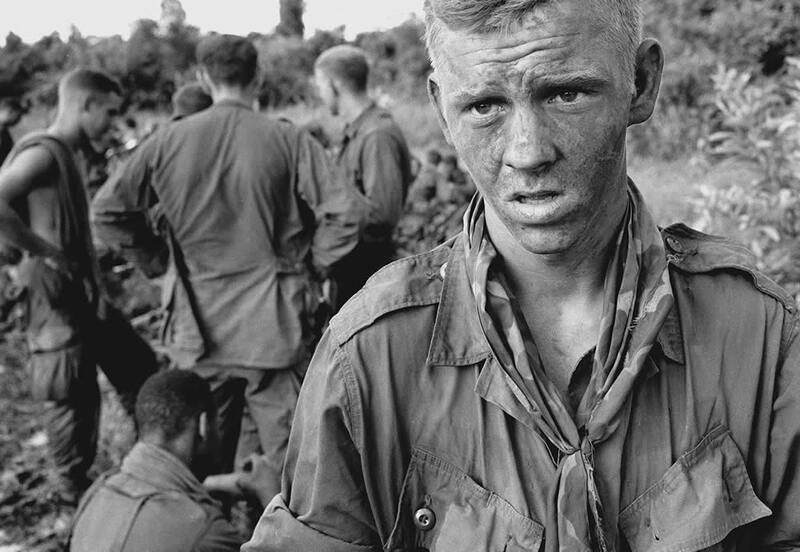 There are plenty of examples to cite — they’re constant throughout the series — but the most penetrating is Denton Winslow “Mogie” Crocker Jr., an idealistic young soldier from Saratoga springs, New York. Crocker was remembered by his mother, jean-marie Crocker, in “Son of the Cold War.” He was an idealist who believed wholeheartedly in the struggle against communism and was killed in the fighting in 1966. Through photographs, letters and family testimonies, the series gave us a sense of the young man as a whole, and as often happens, a sense of uselessness and waste. ‘not my pretty child! His mother burst into tears when she heard the news of his death. More than 58,000 americans were killed in the war, and an estimated 250,000 south Vietnamese soldiers were killed. Many died when American bombers dropped more explosives than the United States had dropped on a country slightly smaller than California during world war ii. Burns and novick convey that the core racism in which the United States is involved, albeit in a roundabout way, is not so much evidence of longstanding moral corruption in the country as a product of recklessness — something that “we” simply fail to take into account. A brief paragraph at the beginning of episode 8 seems to link this tendency to racial discrimination against African americans and hispanics in the country, but the show largely fails to address the issue. Would it be ungrateful to achieve such an amazing achievement in documentary narration, plus more achievements? Perhaps. Sometimes I want more from this huge production, not because it doesn’t have any obvious feel-hours, it’s the best thing I’ve ever seen on TV, but this year because it’s so often so close to being not only impressive, but, importantly, challenging and even bringing. But it never crossed that line. That may be a limitation on the venue – PBS funds itself through grants, individual donations and public funds, and viewers tend to get annoyed when shows take one position or another – but it also appears to be a limitation on the subject for producers. Burns, it is not he always adhere to the political agenda, even though he carves the space in many of his works (alone or with novick) discuss racism, xenophobia, and American imperialism, it’s always sit uneasily with the country’s constantly preach the importance of the individual and it think it is a force for good in the world, in their own borders. The Vietnam war was an unstinting display of conflict that almost immediately turned into a deep pit, turning more people, resources, and emotions into stomachs – a unique, compelling theme that U.S. officials presented to the public and the media at various stages of the war in six months, or by the end of the year – but it was too much of a “miss” approach. The war is the right call for a systematic political failure, a failure of vision, but if production goes too far in this direction, as in this final series, it can make him look as if the Vietnam war was a tragic mystery akin to the will of god: something that just happened, somehow, to climb up on us. There are a lot of time with burns and novick strongly suggests that many parts deal with friction policies and assertions “kill ratio,” south Vietnam province chief Tran Ngoc chau, resistance by killing americans created more asians so indiscriminately, and the early part of former secretary of defense Robert s. McNamara believes he can solve all the problems of processing data. (” The Fog of War, “Errol Morris’s wonderful 2004 biography of McNamara, delve into this delusion.) But there are a lot of, is usually a long stretch, such fears are pushed to one side, so that we can absorb the tragic personal tragedy happened on the battlefield, in the home, and these McNamara accidentally put another statement – “the Vietnam war is a momentum of its own, must stop” – as a kind of statement has no intention of arguments, a huge shoulder shrug. Throughout the series, we keep hearing that “we” means good, and that “we” went to war with noble intentions. In the opening minutes of part I, the coyote narrative intones: “out of a misunderstanding of fate, decent men begin this journey in good faith.” But much of the evidence from burns and novick strongly suggests the opposite: that many cancers have inhabited the core political body for centuries, and that those cancers seem to have put us to use against civilians after the second world war, and that the root causes of chaos, anger and despair, were alive to eat. As you read this, the war on terror has outstripped America’s overall involvement in Vietnam: the conflict in Afghanistan that will mark the 16th anniversary of the U.S. invasion next week has been fought for so long that sons in uniform have followed the same path once their forefathers were influential. Every now and then, burns and novick have a witness who suggests that when we study the Vietnam war, we really should be looking for patterns of destructive behavior — the right question is not “what happened? “But” why does this always happen to us? “Or,” why are we doing this all the time?